Starting January 2020 Shakti will have a 10-12 month 200 Hour Yoga Alliance Approved Teacher Training Program!! One weekend a month for a few hours on Saturday and Sunday afternoons, possibly Friday evening as well. Probably Wednesday Evenings also. Cost will be around $3.400. 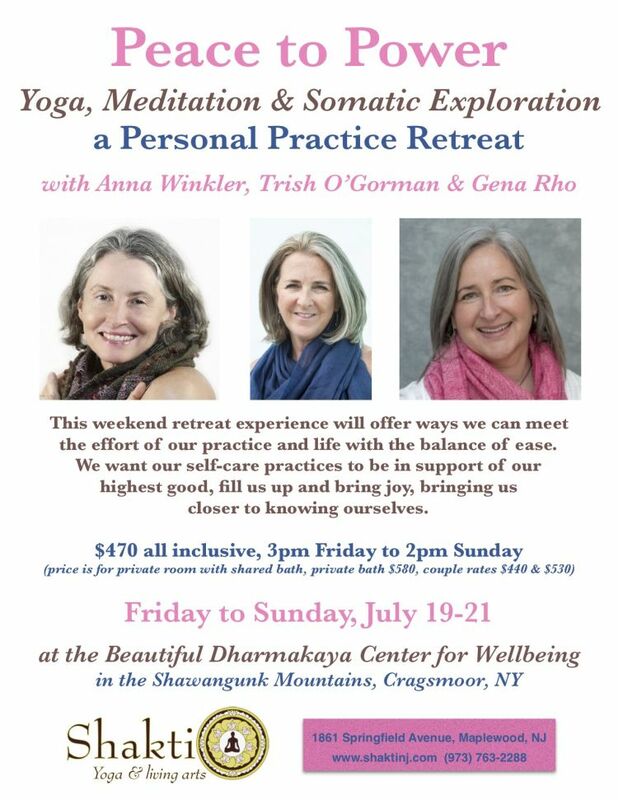 Anna Winkler will be the primary teacher, with assistance from other Shakti Teachers and outside teachers as well for Anatomy & Philosophy.